Facebook is working on bringing Internet.org to more Latin American countries, its CEO Mark Zuckerberg announced during the Summit of the Americas. The event took place in Panama, which will be the next country to welcome the initiative, aimed at giving citizens free access to some Internet sites, in partnership with authorities and carriers. As you may remember, Internet.org already launched Internet.org launches in Colombia and in Guatemala earlier this year. According to reports, both Brazil’s and Peru’s governments now agreed to partner with Facebook, with discussions also being held with Argentine officials. However, the initiative isn’t exempt from controversy. Recently dubbed “a poor Internet for poor people” in a column that mostly focused on India, it is now facing similar criticism in Brazil, where civil rights organizations have expressed concern about the project, ZDNet reported. On a different topic, Facebook’s relationship with Brazilian authorities when the social network removed a picture of a naked indigenous couple that the Ministry of Culture had shared on its official page. Minister Juca Ferreira reacted strongly and threatened to sue what he described as a possible violation of Brazil’s landmark bill on online liberties, known as Marco Civil. While the picture has now been reinstated, the Ministry might still decide to take action and further investigate the issue, he said. 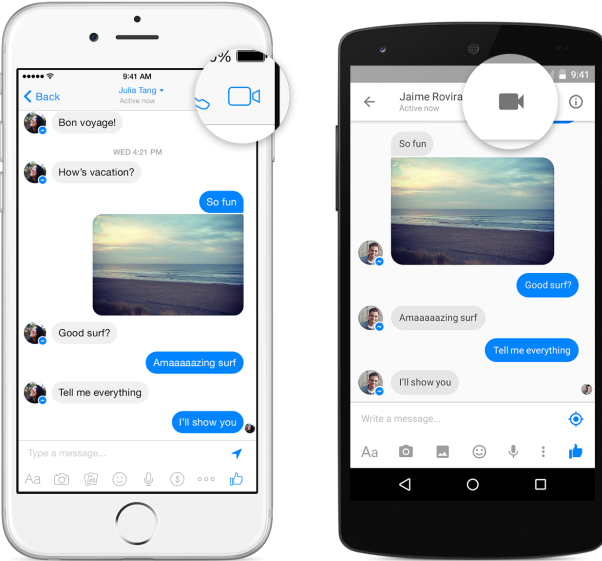 Meanwhile, Facebook added a video calling feature to Messenger in several countries, including Mexico and Uruguay. Currently available on iOS and Android in those countries, it should roll out in other regions in the coming months. Apple inaugurated its first Retail Store in São Paulo, MacMagazine reported. Like its Rio de Janeiro counterpart, which opened in late 2012, it is located in an upscale shopping mall. In addition, the company iOS 8.3’s update includes a new version of Sirithat supports Brazilian Portuguese. 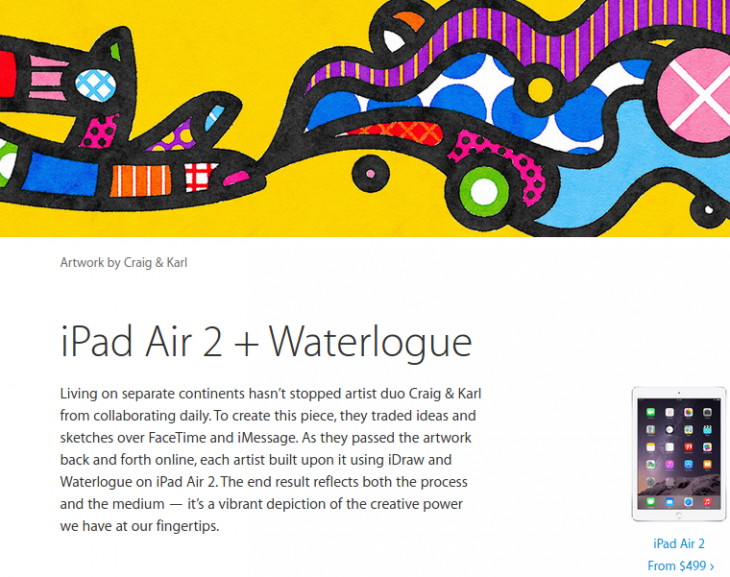 Good news aside, Apple is also being sued by Brazilian pop artist Romero Britto, who is complaining about a campaign that arguably plagiarizes its design style. Perhaps more importantly, Reuters caused ripples by revealing that Foxconn’s investments in Brazil failed to create as many jobs as expected and to make Apple devices less overpriced. On one hand, “Foxconn has created only a small fraction of the 100,000 jobs that the government projected, and most of the work is in low-skill assembly.” On the other hand, the price tag of many iPads increasedyet again this April, with the iPad Air 3G/Wi-Fi 32GB now retailing at R$2,999 — a whopping $986 USD. According to a recent study by the International Monetary Fund (IMF) and Deutsche Bank, Brazilians pay the world’s highest price for the iPhone 6. Amazon could land in Mexico next November, according to tech blog Xataka, following up on earlier reports that the e-commerce company was building a new distribution center near Mexico City. Amazon already sells books and Kindle devices in Mexico through its local subsidiary, which manages Amazon.com.mx, but prices are in dollars and shipping is only free for orders of more than $125 USD. Back in Brazil, the e-commerce giant cut down on taxes and international delivery fees it used to charge on imported books, IDGNow reported. In other news, Google informed on its corporate blog that the Brazilian state of Amazonas had become the country’s fourth state to adopt Google Apps for Education. The state’s education department will provide the suite of apps at no charge to more than 500 schools, 450k students and 16k teachers. As for Twitter, it promoted a few of its Brazil-based executives to regional roles, in which they will oversee other Latin American markets. According to ZDNet, the startup will also open an office in Miami within the next three months to further on Latin America. French city-to-city ridesharing company BlaBlaCar expanded into Mexico through the acquisition of local startup Rides. While it was already present in 18 countries, Mexico is its first Latin American market. In a blog post, BlaBlaCar pointed out some Mexican realities that have boosted ridesharing in the country, such as a 72% increase in the cost of fuel since 2010, and a lack of adequate passenger rail services between the its 14 major cities. This isn’t the first time that BlaBlaCar has acqui-hired a local company to expand; it recently bought Germany-based Carpooling and Hungary-based Autohop. The Rides team will join BlaBlaCar to form the company’s 12th international office, with co-founder Alberto Padilla taking the role of Mexico country manager. Rides was a pivot of Mexican B2B ridesharing startup Aventones, and they had together received funding from ALL Venture Partners, Fundación Chile, Mexico’s INADEM, Start-Up Chile and NXTP Labs (disclosure: NXTP Labs is an investor in my startup, MonoLibre). ‘Latin America’s eBay’ MercadoLivre bought e-commerce management company KPL for R$50 million (around $16.2 million USD), Brazilian newspaper Folha reported. KPL offers e-commerce management solutions to Brazilian subsidiaries of companies such as Arezzo, Decathlon and Leroy Merlin. 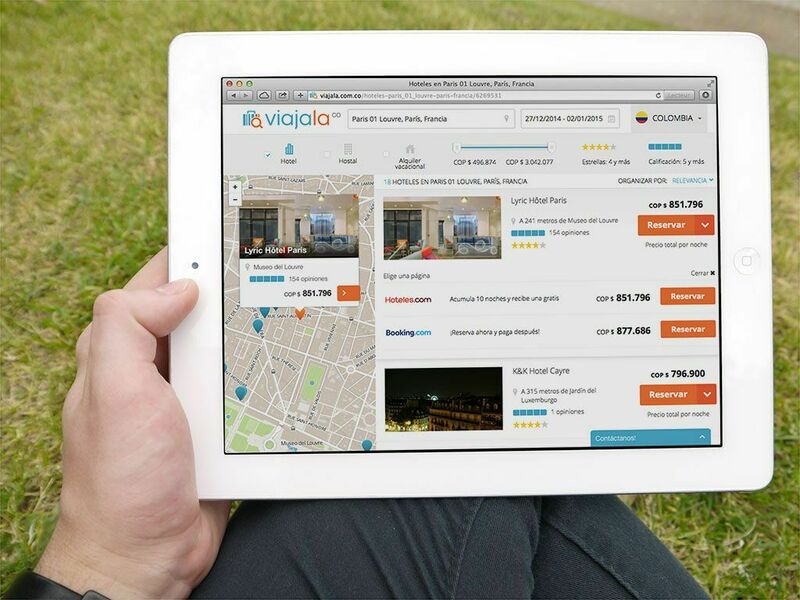 In addition, it also plans to develop an ERP for SMBs, which will be distributed as a cloud-based SaaS. 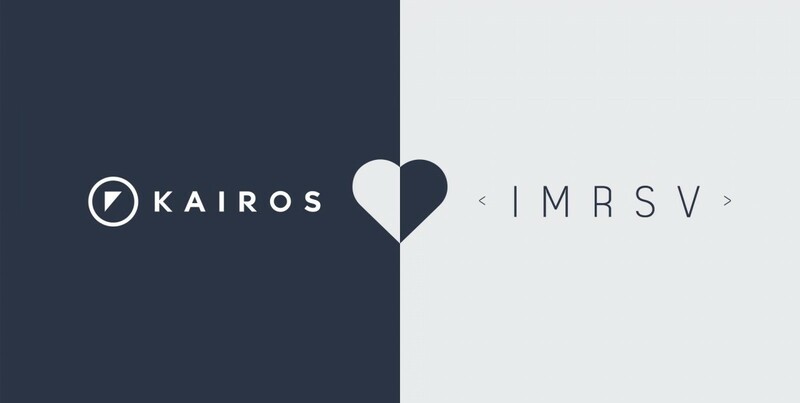 Miami-based facial recognition startup Kairos acquired emotion analysis company and TechStars alum IMRSV, The Starting Gate reported. “With this acquisition, Kairos becomes the only facial biometrics company in the world offering both facial recognition and emotion analysis tools for developers,” Kairos CEO Brian Brackeen claimed in a blog post. US advertising software company Gravity4 bought Brazilian startup Ezlike, its founder Daniel Coquieri told TNW. Born in Belo Horizonte, Ezlike is one of the largest Facebook Marketing Partners in Latin America, with reported revenues of over $40 million last year. Following the acquisition, its native Facebook advertising solution will be integrated within Gravity4’s existing platform, while its team will join Gravity4’s offices in São Paulo. This deal is Gravity4’s 8th acquisition in 9 months, and confirms its wish to expand its Latin American footprint; it previously bought retargeting startup Triggit, which also had a significant presence in Brazil. Food delivery startup PedidosYa acquired its smaller regional Argentine counterpart Onda Delivery, PulsoSocial reported. As you may remember, PedidosYa itself was acquired by Delivery Hero in 2014, and has been expanding across many Latin American countries over the last few years. 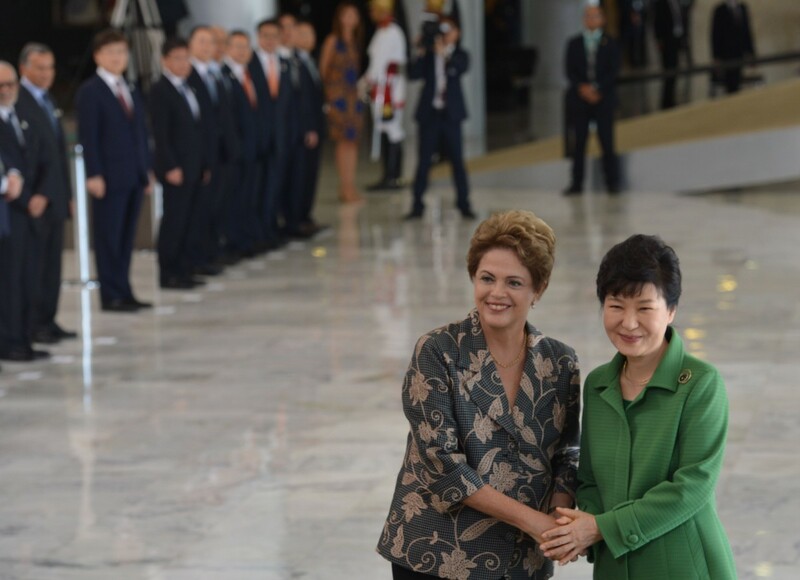 South Korea’s President Park Geun-hye and Brazil’s Dilma Rousseff agreed to strengthen the two countries’ partnership by diversifying cooperation “in such high value-added areas as infrastructure, smart grids, renewable energy and health care,” the Korea Herald reported. It was also announced that Samsung was planning to invest some $5 million USD over the next five years to support promising startups in Brazil, in partnership with the Brazilian Association of Science Parks and Business Incubators (ANPROTEC). Credit reporting company Experian will invest R$25 million (around $8.2 million USD) in big data in Brazil over the next five years, ZDNet reported. Known as Serasa Experian in Brazil since a 2007 merger, it plans to open a big data lab in São Paulo, its third one in the world. In addition, ZDNet also reported that Sony was planning to spend $83 million USD this year to boost the adoption of its smartphones in Brazil. Latin American mobile services company Movile announced a $40 million round of funding led by South African Internet and media group Naspers, which had already been a strategic partner and majority shareholder of Movile since 2008. Movile plan to use this funding to keep on growing in Online-to-Offline mobile commerce and mobile entertainment. As you may remember, Movile backed several companies in this space over the last couple of years, and also operates kids’ content platform PlayKids, which recently expanded into China. Rocket Internet’s Global Fashion Group raised $35 million from Tengelmann Ventures and Verlinvest at $3 billion post-money valuation, TechCrunch reported. GFG was born last year from the merger of five of its e-commerce properties: Dafiti (Latin America), Jabong (India), Lamoda(Russia and CIS),Namshi (Middle East) and Zalora (Southeast Asia and Australia). In addition, Rocket-owned food delivery company Foodpanda raised a $100 million round of funding led by Goldman Sachs, a mere 2 months after its previous $110 million round. Assured Labor raised a $6.75 million Series B of funding led by existing investor Capital Indigo, with participation from Mexico Ventures, Thayer Ventures and Promotora Social México. Better known as TrabalhoJá in Brazil and EmpleoListo in Mexico, the company helps employers such as Ambev, Atento, Teleperformance and Sears recruit low-to-mid-wage employees using whatever technology they have access to, including SMS. According to its CEO David Reich, Assured Labor says it is now working 50,000 employers and 2 million job seekers. Brazilian online video startup SambaAds closed a R$3 million investment ($1 million USD) from e.bricks, Brazilian-Israeli firm Initial Capital, Israeli firm Rhodium and Dave McClure’s 500Startups, which had already backed its seed round. This spin-off to SaaS online video platform Samba Tech was one of the finalists at TNW Startup Rally in 2013. Fashion rental startup Dress & Go disclosed it had raised funding from Kaszek Ventures, Startupi reported. It had previously received funding from A5 Internet Investments. Start-Up Chile announced the names of the 90 companies that will be part of its 13th generation. As usual, it had received hundreds of applications – 1600 this time – and the final selection is very international – 25 represented countries. 500 Startups also announced the list of startups that will join its 13th batch in Mountain View. Three of them come from Latin America: Brazil’s Edools, Uruguay’s GlamST and Argentina’s RingCaptcha. Airbnb started listing properties in Cuba – although only US travelers can rent them. The backstory on how it managed to make it happen is pretty interesting, and you can read more about it here. Payments startup Stripe is preparing to expand into Latin America, a job offer revealed. The company is hiring a Latin America market operations manager who will “begin by leading Stripe’s market entry to Mexico, building [its] operations from the ground up.” Argentina, Chile and Colombia are also mentioned in the ad. Pan-Latin American online advertising player Harrenmedia announced its arrival in EMEA through a new office in Berlin. Harrenmedia is part of UK’s Freemount Group. The new office will work together with Harrenmedia’s communications team in Latin America and its technology team in Israel. Popular Brazilian Android messaging app ZapZap Messenger landed into several new countries, including the UK and the US, following the recent addition of 7 new languages to its platform. While its press release mentions that media outlets sometimes refer to it as “the Brazilian Whatsapp,” its focus is slightly different, with an emphasis on finding new friends. For instance, it features public thematic groups and an option to search for people nearby. Chile’s General Direction of Civil Aviation introduced regulations that made it the first country in Latin America to officially allow drone flights. This puts it a step ahead of Brazil, which is still debating whether drones will be able to fly during the 2016 Olympic Games. Thanks for sharing this great post. I really enjoyed it. What is Supply Chain Management and Why Is It Important? SUBA es una organización y comunidad cuyo objetivo es inspirar , conectar y dar apoyo a Start Ups y emprendedores en Buenos Aires . SUBA fue fundado para servir como la base de operaciones , centro de recursos , educador y asesor para el crecimiento y la innovación.